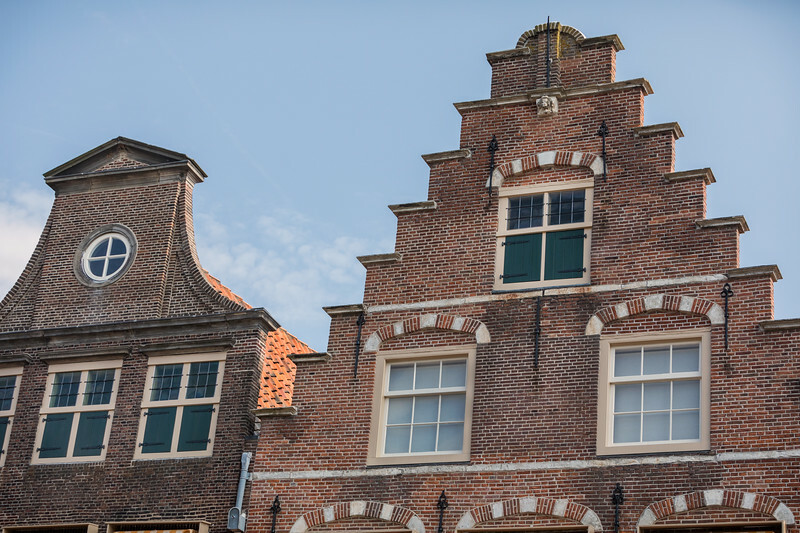 The design of gable facade has evolved since the 15th century. In addition to adding cosmetic flair to dual-pitched roof lines, the gables kept water out of the roof (since the tiles did not wrap around). Winches were often attached to the gables allowing heavy loads to be hoisted and brought inside the double doors. The structure on the right uses a corbie step gable- where a layer of stone covers each step.